Dunkin' Donuts looks to fuel your holiday travels tomorrow, November 23, 2016, by offering any medium hot or iced espresso drinks for $1.99 at participating locations. The day before Thanksgiving is one of the busiest travels days of the year and also happens to be National Espresso Day. 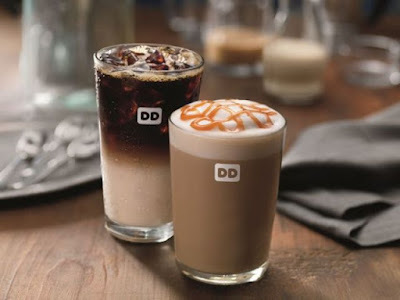 Dunkin's espresso drink selection includes macchiatos, lattes, and cappuccinos. They can be customized with your choice of dairy and sweeteners. If you want something seasonally, they're featuring Salted Caramel and Creme Brulee flavors for the holidays. The drinks are normally around $3.50 and up.